LONDON -- Pop star Ariana Grande surprised young fans injured in the Manchester Arena attack, hugging the thrilled little girls in their hospital beds as they recovered from injuries sustained in the May 22 suicide bombing. 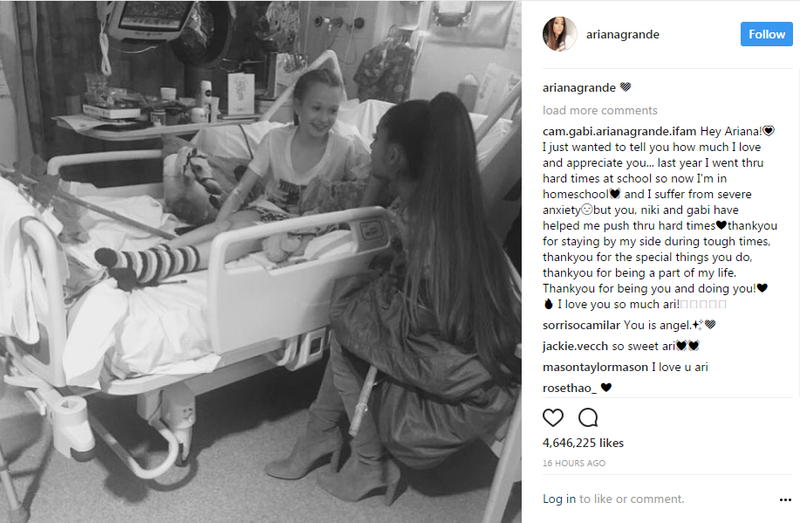 Grande shared two images during her visit to Royal Manchester Children's Hospital with her 107 million Instagram followers. One photo's caption was simply a heart. The other caption read, "I love you." "So happy she came i could burst!," he wrote. "Never seen jaden so happy! even cried again myself."